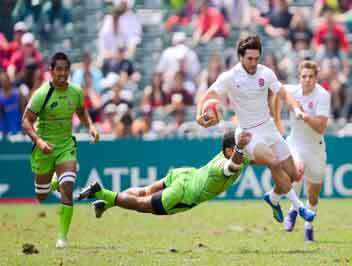 When the CATHAY PACIFIC HSBC HONG KONG SEVENS comes to town, the party lasts the whole weekend, as do the hangovers! 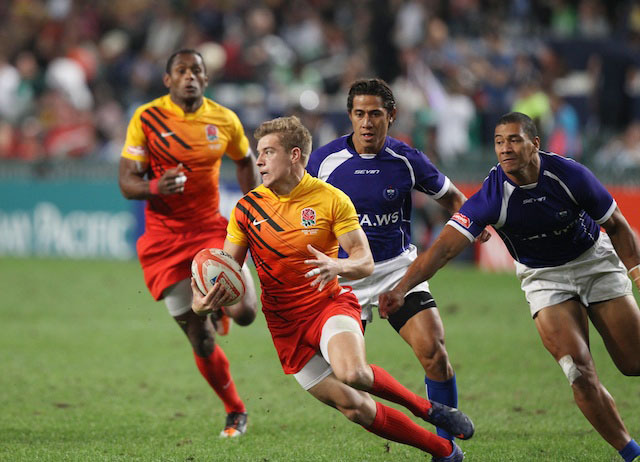 Rugby supporters can travel the world following their sporting heroes and a visit to the annual Hong Kong Sevens is a rugby tour that is on evryone's bucket list. A perennial favourite in the rugby calendar, Hong Kong is a non-stop, fast moving metropolis with one of the world's most recognisable skylines and a unique atmosphere that you need to see, smell and touch to fully appreciate. With fabulous shopping and dining and a wealth of sightseeing opportunities, you are guaranteed a fabulous break in one of the world's most exciting cities. Sevens Rugby allows the big fish and the minnows of world rugby to share the same pond for one wonderful weekend as the stars of tomorrow are given a first taste of international rugby. A magnificent kaleidoscope of colour, pageantry, noise and sporting endeavour, this is 'the rugby sevens tournament' that all rugby fans should experience once in a lifetime…if not more. So put the date in your diary, dig out your best fancy dress and if you're feeling brave, immerse yourself in the carnival atmosphere of the South Stand. Minimum stay 4 nights - but stay as long as you like. Flights, Travel insurance, porterage, pre-seating charges applied by airlines, airport transfers and items of a personal nature. Arrive Hong Kong and make your own way to your chosen hotel for a 4 night stay. Optional flights and airport transfers can be booked for a minimum of 2 people. The tournament kicks-off at the Hong Kong Government Stadium at around 10.30hrs and continues through to 18.30hrs. The sevens party atmosphere will be electric today. The stadium will be full so arrive early to get the best choice of seating. Finals day kicks off around 09.00hrs with the final scheduled for 18.00hrs. Enjoy your final day in Asia before it's time to prepare for your journey home. Please settle any personal expences with your hotel and then make your way to the airport, allowing plenty of time to check-in for your flight home. The best way to travel into the city is by Airport Express train. Running every 15 minutes you will be in Hong Kong city centre in just 23 minutes. Cost: approx £11 each way. On your return if you are travelling by Cathay Pacific there is also a free check-in service at Hong Kong and Kowloon Stations. For more details see Airport Information. Private airport transfers can be booked - prices available on request. 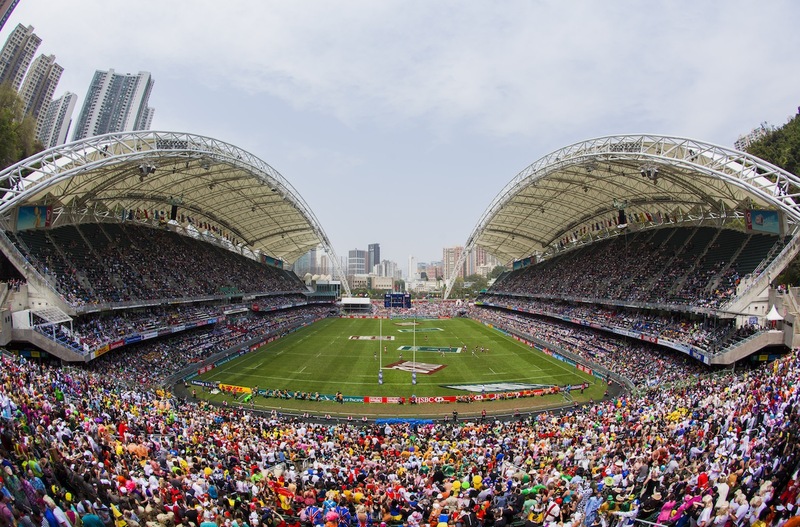 Situated on Eastern Hospital Road the stadium is just a 15-20 minute walk from our hotels in Causeway Bay. Seating in the 40,000 capacity stadium is 'free-seating' and is therefore on a first come first seated basis! To get the best seats you have to arrive early - especially on Finals day. You can buy all manner of food (including breakfast) and drinks at the stadium. The Hotel Jen is a simply fantastic option for the Hong Kong Sevens located in the Western District. With short transfer times from the airport and close to the Macau Ferry Terminal you can make the most of your time in the city. The hotel has a simple but functional fitness room, an outdoor rooftop swimming pool, fast free wifi everywhere as well as an onsite restaurant. This popular hotel rises high above the waterfront and has great views over Victoria Harbour. 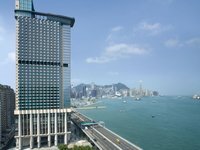 It offers easy access to bar and dining areas in Wanchai, shopping malls in Causeway Bay and Central, and the iconic Star Ferry to Kowloon. Renaissance Harbour View offers an excellent range of facilities, the podium garden features the largest seasonal heated outdoor swimming pool in Hong Kong, jogging track, golf practise facility and two tennis courts. With three restaurants and the Lounge, various choices of international cuisine and fine dining are available. The newly renovated guest rooms are contemporary and well appointed with state-of the art amenities. Complimentary privileges include in-room wifi, tea & coffee making facilities, local newspaper and 2 bottles of water each evening. 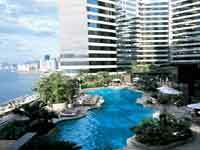 The multi-award winning Harbour Grand Hong Kong is a luxury property with harbour views. Located in the heart of Hong Kong island nestled amongst the shopping areas of Causeway Bay this is a great location from which to explore Hong Kong. Le 188 degree restaurant offers a 188 degree view from the very top of Harbour Grand Hong Kong. There are good facilities on offer at the hotel from the state of the art fitness centre to the 27 metre long outdoor swimming pool. If you want us to book your flights, please just ask. The earlier you book the better deal we will be able to find you! Hong Kong International Airport acts as a gateway to parts of mainland China and a convenient stopover destination for much of Asia. There is so much to see and do here, but everything is wonderfully close, ideal for just a few days tacked on to the beginning or end of a longer itinerary. Hong Kong is one of Asia’s most popular airports, maybe it's time to find out why. When people envisage Hong Kong with its impressive skyline dominated by the glittering glass of soaring buildings, backed by green peaks, it is most likely Hong Kong Island that they see. Home to the economic, historical and political centre, this is the city’s heart where you will discover the shopping, entertainment and commercial heart on the north coast of the island on the southern shore of the deep Victoria Harbour. Marvel at the blend of man-made and natural landscapes from Victoria Peak above the central region of Hong Kong Island, overlooking the streets, skyscrapers, harbour and Kowloon Peninsula below. Wander through the neon city and savour an array of peculiar delicacies such as shredded jellyfish, the potent tofu or snake soup, before signing up for a t’ai chi session at dawn. For a city view from sea level take the Star Ferry between Hong Kong Island and Kowloon and, upon disembarkation, explore the shopping mecca of Tsim Sha Tsui including the Harbour City shopping centre. The Kowloon Walled City Park was once the site of a Qing Dynasty military station which grew to become a large sprawling city during the 20th Century. In the early 1990s the chaotic buildings were demolished and replaced with a park, where, to this day you can still see a number of structures and relics from the city as well as the beautiful Qing Dynasty garden. If you can tear yourself away from the rugby, Hong Kong also has a myriad of other experiences available. 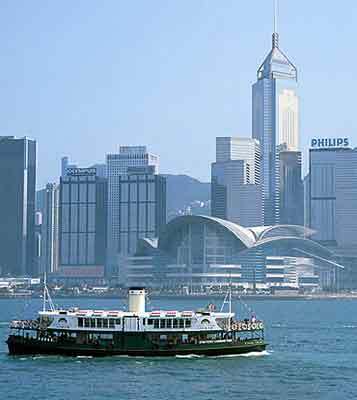 One of the most popular is getting the Star Ferry from Hong Kong Island to Kowloon, a nostalgic and very cheap journey but a real must-do. 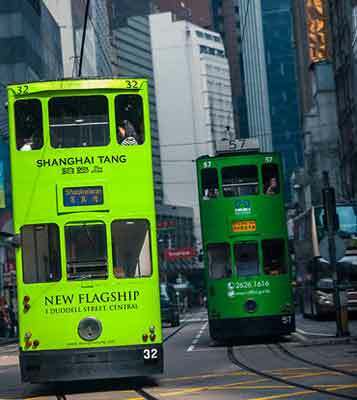 There's also the Victoria Peak Tram, which offers you panoramic views across Hong Kong from the top of Victoria's Peak. If you want a break from city life, head out to the outlying islands, famed for their hiking and beaches, a lovely little escape from the bustle of the city. Hong Kong even has its own Disneyland. An Octopus card, a card similar to our Oyster card is essential if you plan on exploring the city with the help of public transport. Cards can be bought either at the airport or from one of the MTR railway stations and can also be used to purchase things such as food and coffee in various chains and stores. The MTR itself is clean, quick and safe, with air-conditioning in the summer and mobile signal throughout. 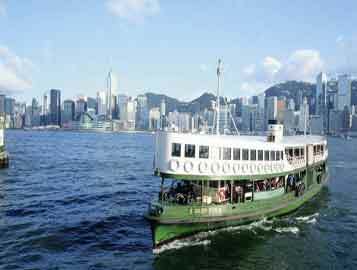 If you want to get out of the city itself, frequent ferry services are available to a collection of Hong Kong’s outlying islands, just head to the harbour front. This is also where you’ll find the well-known Star Ferry, which takes people from Hong Kong to Tsim Sha Tsui on the Kowloon side, and vice versa. Hong Kong offers some of the best shopping in the world, with most goods (except wine and cosmetics) tax free. Some of the best things to buy to make the most of this are clothes, cosmetics and electrical goods. Tsim Sha Tsui in Kowloon is Hong Kong’s most flourishing luxury shopping and recreational area. It is here you’ll find Harbour City, the largest multipurpose shopping mall in Hong Kong which is famed for its designer boutiques. Causeway Bay is another great spot as it’s shops have the latest closing times in all of Hong Kong, ideal for a little late night shopping. 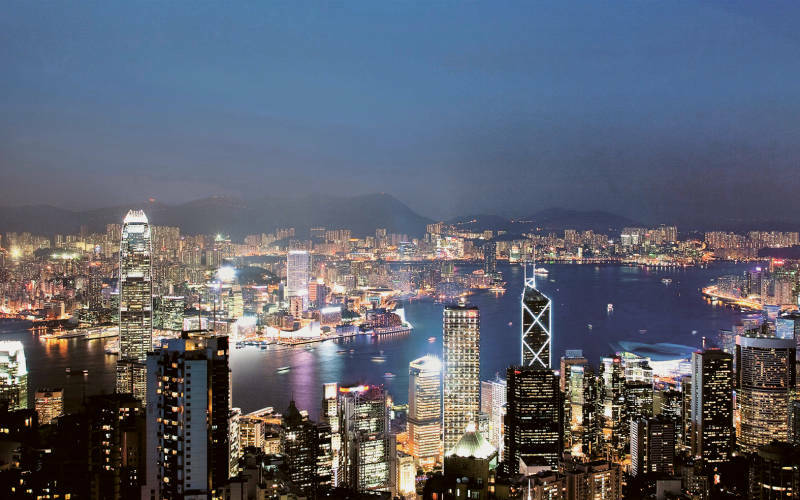 Hong Kong offers a vibrant nightlife scene, with plenty to see and do throughout the city. Whether you take a night cruise around Victoria Harbour to look back at the bright lights and epic skyscrapers of the city, or find yourself a spot in a trendy cocktail bar offering fresh and fruity delights, there is something for everyone. There are three popular nightlife areas, Central, Wan Chai and Tsim Tsa Tsui. Central is popular with expats and trendy locals, Wan Chai is near to Causeway Bay and is especially popular with those looking to dance till dawn whilst Tsim Tsa Tsui in Kowloon has a whole host of differing nightlife attractions, some aimed at locals and others for tourists. 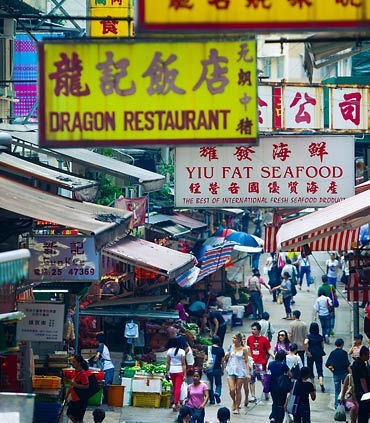 Hong Kong is the 'World’s Great Dining Capital', where you'll find an incredible range of Asian and western cuisines from Cantonese and Szechuan to French, Italian and even McDonalds. Apparently if you were to eat out three times a day, seven days a week, it would take about five years to try each restaurant. A 10% service charge is usually added to the bill. If the service has been good, add a little extra. Tip hotel porters 1US$ for 2 bags. Taxi drivers expect at least 10%. To confirm your booking we need to collect a deposit payment equivalent to 25% of the total holiday price. When making holiday payments we encourage you to pay online by bank transfer. The person signing the booking form will be treated as doing so on behalf of, and with the consent of, all the persons for whom the booking is made and is responsible for ensuring due payment of all monies. Please ensure you return your signed booking form, together with a copy of the photograph page of all travellers passports as soon as possible after your booking has been confirmed. .